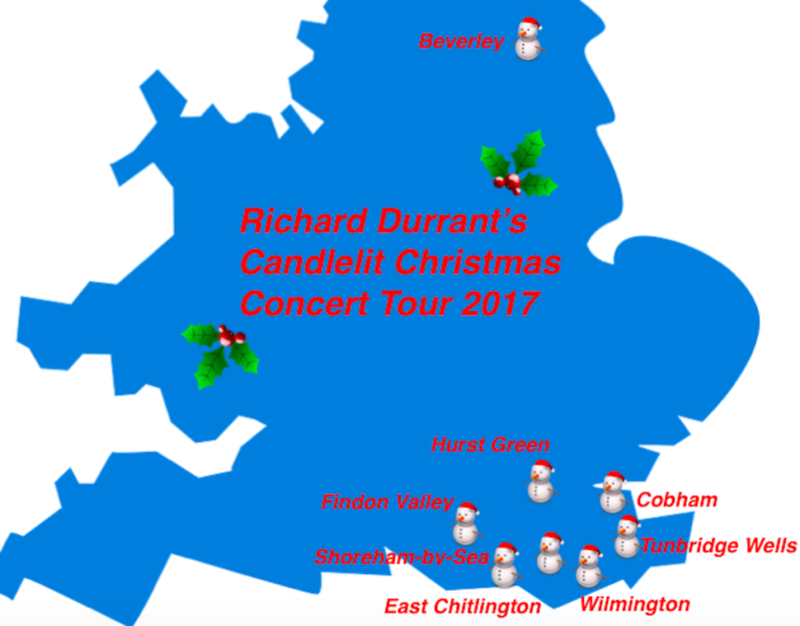 Richard Durrant’s 2017 Candlelit Christmas Concert Tour is racing across the country from the South Coast to Beverley in Yorkshire. Catch this fantastic Christmas show while you can… Richard Durrant is joined by master folk fiddler Nick Pynn and fantastic singer Amy Kakoura to create a truly magical experience taking us to the heart of Christmas. And here’s a taste of the magic to come with an extract from Richard’s 2013 album ‘Christmas Guitars’. 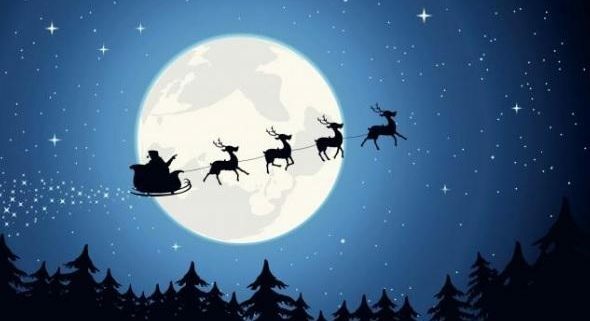 The track ‘An Acoustic Winter Solstice ‘ creates a wintry, musical landscape of acoustic instruments, hammond organ and percussion: Richard Durrant’s Candlelit Christmas Concerts have become a much loved part of Christmas for many years. The music includes original work as well as the familiar – and all led by Richard’s uniquely expressive way with the flawless technique of a major virtuoso and the delivery of a natural story teller. 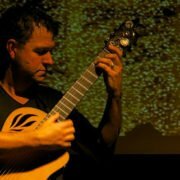 Richard Durrant’s 2017 Candlelit Christmas Concert Tour presents 12 performances across 8 different venues from the South Coast to the Yorkshire Dales… For many music lovers across the UK Christmas doesn’t properly begin without attending one of Richard Durrant’s Candlelit Christmas Concerts. 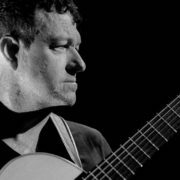 For guitar maestro and composer Richard Christmas is also very special which is why this tour has been a major part of his concert schedule for many years. Richard’s musical choices are always a fascination. 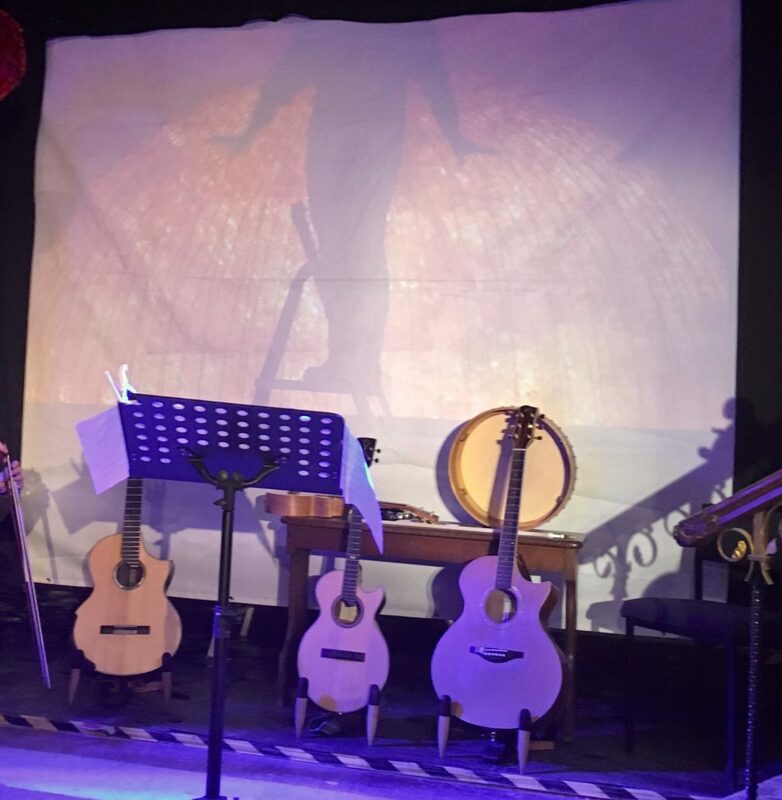 Original guitar works as well as tunes taken from the early music repertoire and works by Bach – all played in his uniquely expressive way with the flawless technique of a major virtuoso and the delivery of a natural story teller. 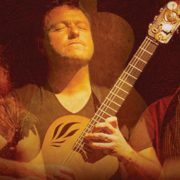 This year Richard is once again joined by master folk fiddler Nick Pynn and singer Amy Kakoura – two great musicians who help take this show into the heart of Christmas. 1 June 2018 sees the launch of the next chapter in the Stringhenge journey with a promotional tour to launch Stringhenge – The Album, beginning on Orkney with a concert in St Magnus Cathedral and ending in Sussex. 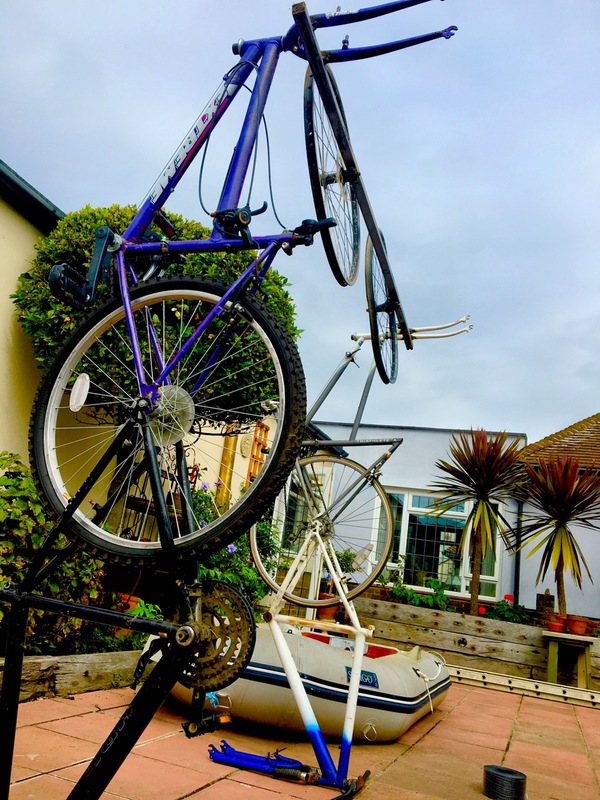 In true Richard Durrant style, and to minimise the carbon footprint of this project, he will cycle the entire tour carrying all the gear for each concert. Listen to The Bog Oak Bouree – the demo track for Stringhenge the album. 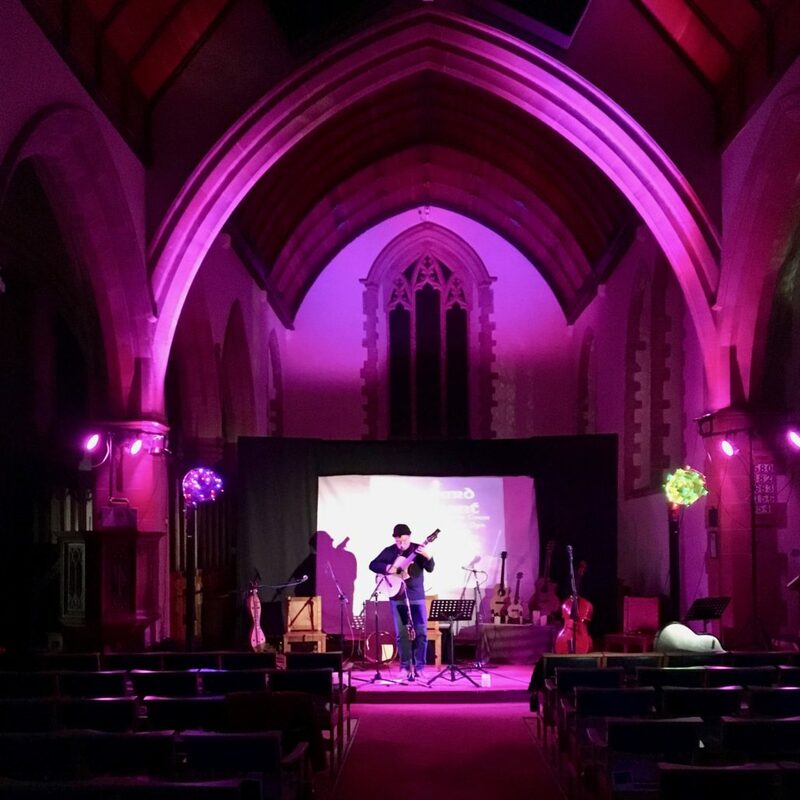 Stringhenge was launched in Ditching, Sussex on 24th March 2017, the first show in the Stringhenge tour. From there it has gone from strength to strength with concerts the length and breadth of the British Isles. And there are two more shows coming up in the 2017 tour at The Cut in Halesworth on 16 November and Thomas Cranmer Centre in Aslockton on 17 November. Another wonderful and atmospheric concert. Brilliant acoustic and lighting too! Also coming up on Thursday 19 October at St Paul’s Church, Brighton, is a really special one off concert in Brighton with special Guest, pianist and harpsichordist Howard Beach. 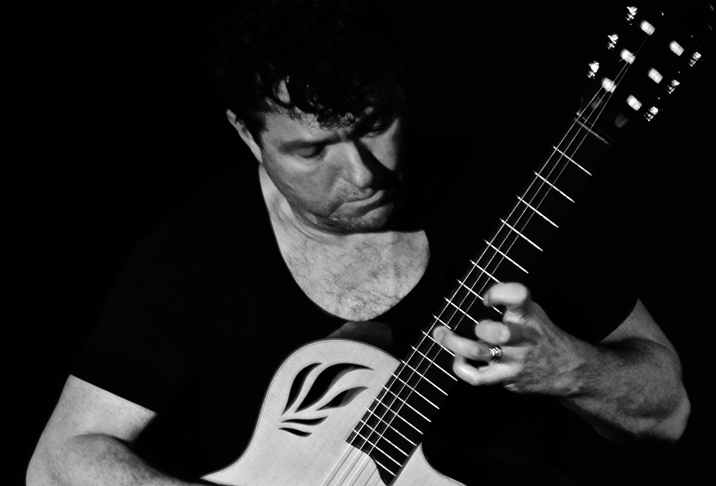 Howard will join Richard Durrant in their unique versions of Vivaldi’s A minor guitar concerto alongside other works. And after that it’s Richard Durrant’s Candlelit Christmas Concert Tour. This year Richard is once again joined by master folk fiddler Nick Pynn and singer Amy Kakoura – two great musicians who help take this show into the heart of Christmas. Yes it’s true! 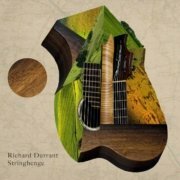 Richard Durrant is incapable of resting on his laurels for long so after the sell out world premiere of his Ukulele Concerto on Sunday and the debut of his new 17-piece band, The Burning Deck he’s out on the road again – this time to the south of France for the beginning of his latest Stringhenge Tour 2017. 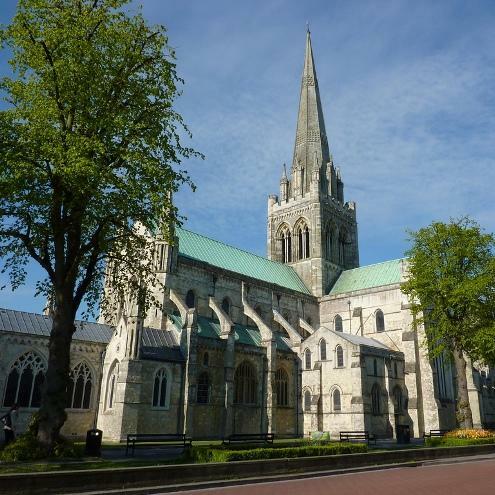 One of the highlights of this tour has to be the one in the spectacular setting of Chichester Cathedral with its tall spire rising above its green copper roof which can be seen for many miles across the flat meadows of West Sussex. This spire is traditionally an important landmark for sailors too being the only medieval English cathedral visible from the sea. This tower is actually a replica built at the end of the 19th century by the great Sir George Gilbert Scott – the original one had stood for 450 years before it suddenly collapsed in on itself in 1861. 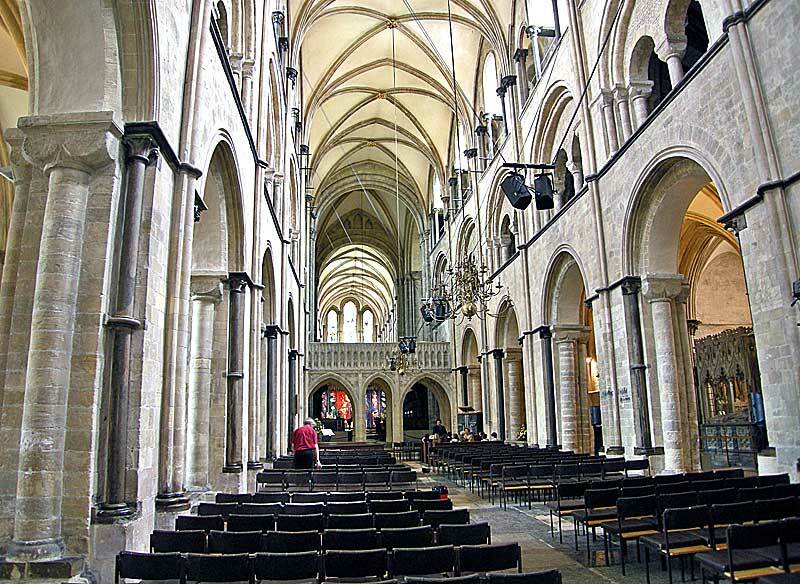 And of course there are also the incredible instruments which will resonate particularly beautifully in the splendid acoustics of Chichester Cathedral with the amazing Uffington Tenor Guitar by Ian Chisholm and the Concert Guitar by Gary Southwell made from a 5,000 year old bog oak. 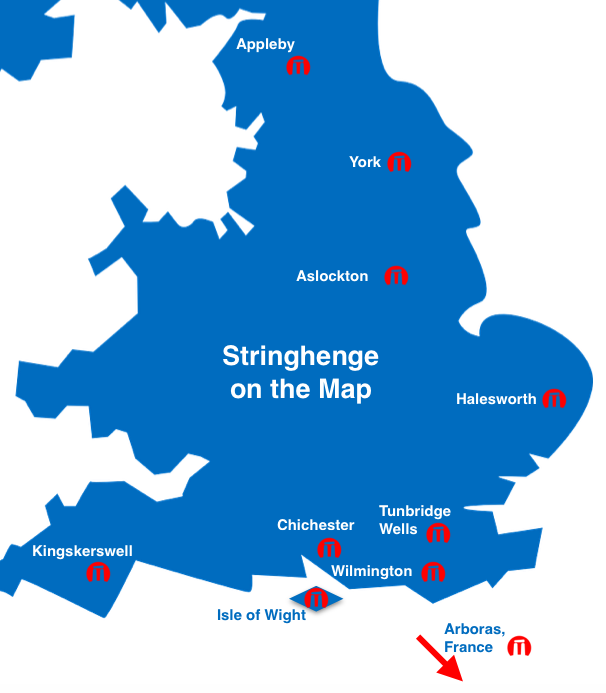 As for the other venues on the Stringhenge tour, this map tells the story. 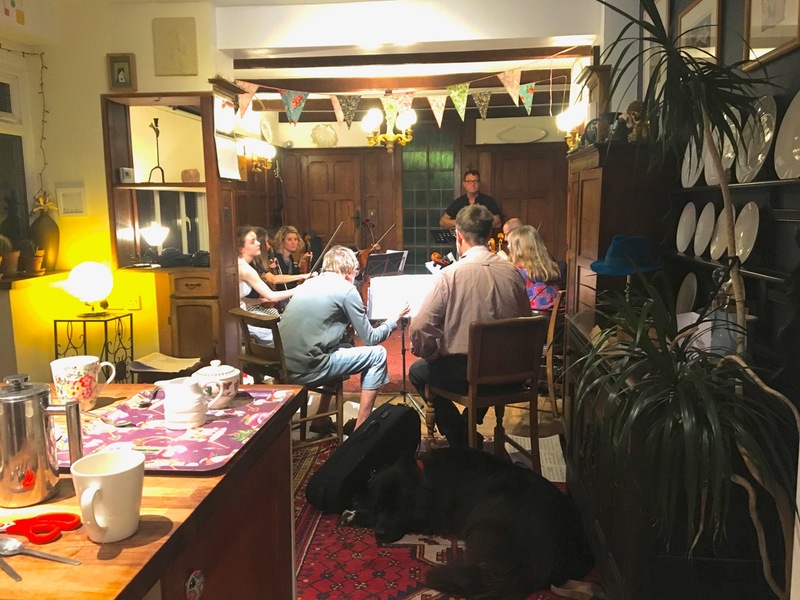 And every venue has its own story – Richard played a Stringhenge gig this midsummer by the Uffington Hourse for example but his plan was always to play a gig at the Autumn equinox next to the LongMan of Wilmington – and here it is on the tour on 20 September. Click on the link below to find it to out about the venue nearest you. 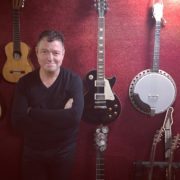 Richard Durrant reflects on the music for the immense project that is Stringhenge ahead of the 2017 tour. Bach’s 2nd Cello Suite in Dm must be right up there with his mighty Dm Chaconne. Playing this music on the bright little Tenor Guitar is like being given magic powers with which to cut the air. In Stringhenge I play music from three Bach Suites on this instrument, once using the Skye Boat Song as a Prelude and once the Herefordshire tune Speed the Plough as a Coda. 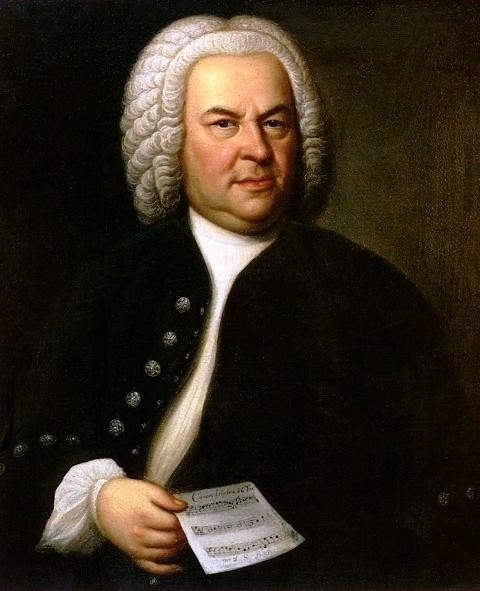 The juxtaposition of British Folk melodies with Bach’s unstoppable flow of beauty is interesting to say the least. It makes my ears spin with pleasure. Then there is the English music. My own guitar solo Metanoia, played on the historic Southwell instrument, is both dedicated to and written in the style of John Remborn (a style sometimes referred to as English Folk Baroque). I have also arranged a couple of pieces by Henry Purcell and Elgar’s Chanson de Matin. There is another Durrant original in there as well: The Sussex Suite for Tenor Guitar which is in three movements, the last of which The Spoil Bank Cross is inspired by Eric Gills giant crucifix which once stood on the spoil bank at Ditchling beside the main London railway line. And Gill doesn’t provide the only controversy – more is contained within my peculiarly English concert as I contrast my love for the British landscape with a sense of shame and sorrow at the UK’s current position in the world. I take comfort from the music and am handed perspective by the ancient, English tree from which came my guitar. By the coming weekend the band will grow still further as Chris Brannick (percussion), Gareth Huw Davies (bass) and a large group of fellow ukulele players the Antiphonal Ukes join the fun. We do hope you can make it along to this gig – it’s looking like it’s going to be something rather special! Not only will this be a really exciting world premiere of a rather unusual new piece I have been working on – but I’m also hoping it will be the first of many outings with the band I have dreamt of forming for over twenty years. Richard Durrant is preparing to travel the length and breadth of England – and more -with his much anticipated Stringhenge Tour 2017. 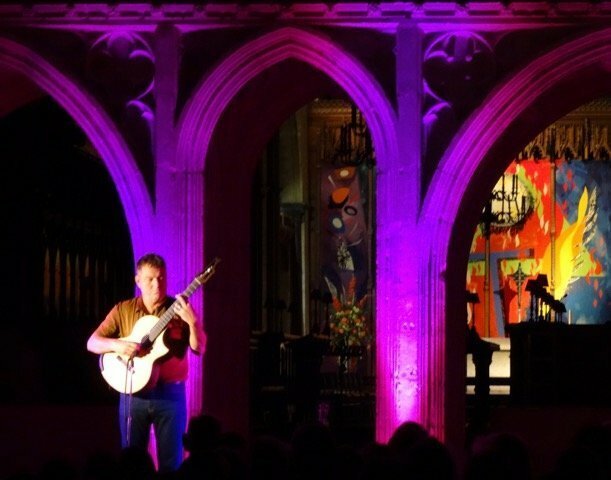 Check out our updated tour schedule to find a venue near you… From the majesty of Chichester Cathedral to the beauty of the Occitanie region in the south of France, and from a Waterside Arts Centre on the Isle of Wight to a remote parish church in the Devon countryside, Richard’s captivating 2017 Stringhenge Tour is reaching out to a venue near you starting from this September. In addition to performing in these magnificent and varied venues, a highlight of the show will be two of Richard’s guitars: the Uffington Tenor – built by Sussex luthier Ian Chisholm and featuring a beautiful silver inlay of the ancient horse carved into the chalk at Uffington, and an extraordinary new six string Concert Guitar, built in Lincolnshire by luthier Gary Southwell. “This is a real journey of discovery for me – exploring a love of Britain without tripping over the spectre of patriotism”. “It feels as though I’m using Bach’s music to unlock the hill barrows and henges of Britain”. In the show Richard tells stories that link the music to his love of the native landscape. Yet there is also a growing, underlying discomfort for Britain’s new place in the world in the 21st century. 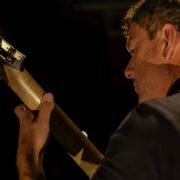 Sign up for the workshops to get involved in the world premiere of Richard Durrant’s new concerto ‘Six Grooves for Ukulele’ at the Ropetackle Arts Centre in Shoreham-by-Sea on 10 September. 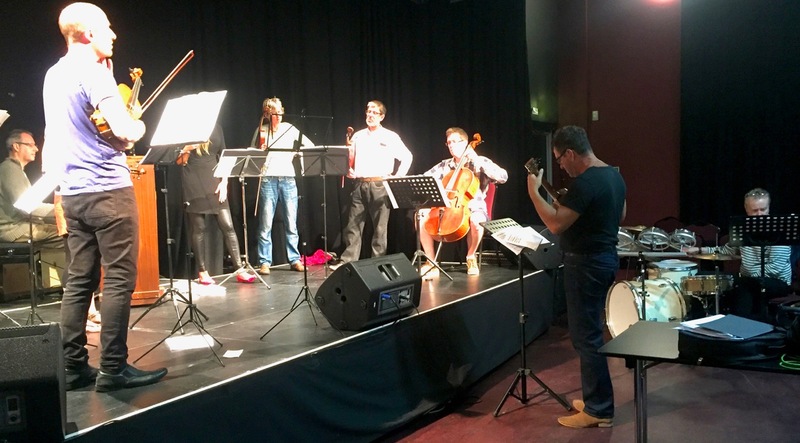 Richard will prepare and rehearse a group of audience ukulele players to perform at the premiere on 10th September. Come along to the workshops and be part of the performance! 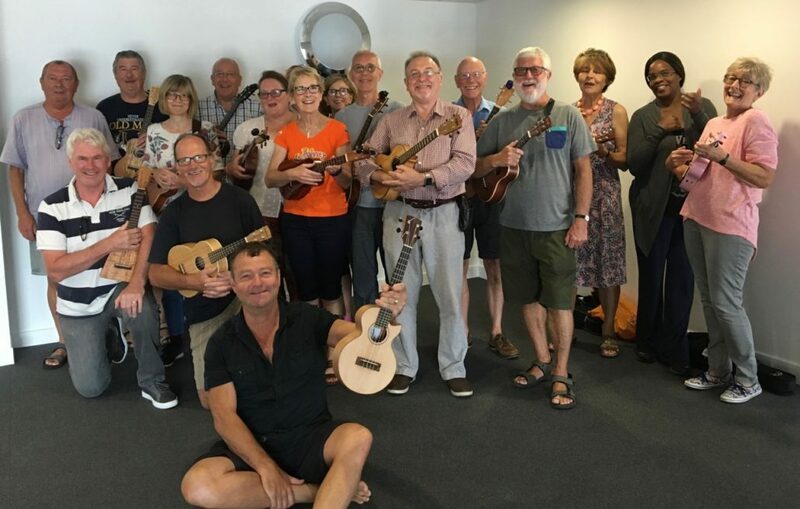 Six Grooves For Ukulele Workshops Ropetackle Arts Centre, Shoreham-by-Sea Sat 26 August 11am – Ukulele Circuit Training – 1 hour Sat 2 September 11am – Six Grooves Prep – 45mins Sat 9 September 11am – Six Grooves Prep – 45mins Sun 10 September 5.30pm – Orchestral Rehearsal – 1 hour Cost: £35 per player including your concert ticket + A Six Grooves passport allowing you to perform at other performances ( at other venues passport holders might need to buy a ticket).